The craft spirits industry is booming, just like the American wine industry did 20 years ago, and the microbrewery industry has been for the past five years. Being a city that dearly loves liquor, local distillers are experiencing a boom that is allowing them to deliver new and exciting libations to their customers. New Orleans has a long, storied history of liquor-making and -imbibing, but this new era of local liquors will go down in history. Named for the 73 distinct neighborhoods of New Orleans, Seven Three Distillery is a small-batch distillery located at 301 North Claiborne Ave. in the Treme neighborhood. It was founded in 2016 by Sal and Eileen Bivalacqua and Jeff and Mary Anna Rogers. Sal and Jeff are life-long friends, and Jeff asked Sal to take part in this boozy venture since his other businesses, including Cajun Encounters and New Orleans Legendary Walking Tours, were so successful. Seven Three Distilling Co. focuses on making a variety of liquors, all named after iconic areas of the city. You can take a fun-filled 45-minute tour of the facility and taste the spirits for $15. You’ll be treated to their Gentilly Gin, Marigny Moonshine, St. Roch Vodka, St. Roch Cucumber Vodka, and Irish Channel Whiskey. Bywater Bourbon and Black Pearl Rum are on the way! Also getting its start in 2016, Roulaison Distilling located at 2727 South Broad St. cranks out a line of delicious rums. Andrew Lohfeld and Patrick Hernandez are the makers and have quite a story behind their business. Andrew and Patrick met while attending the University of Pennsylvania. They both wound up living in New York City after graduation and met up one night to catch up. Andrew had worked in distillation before, and he asked Patrick, a native of Louisiana, if he would be interested in starting a distillery with him in New Orleans. 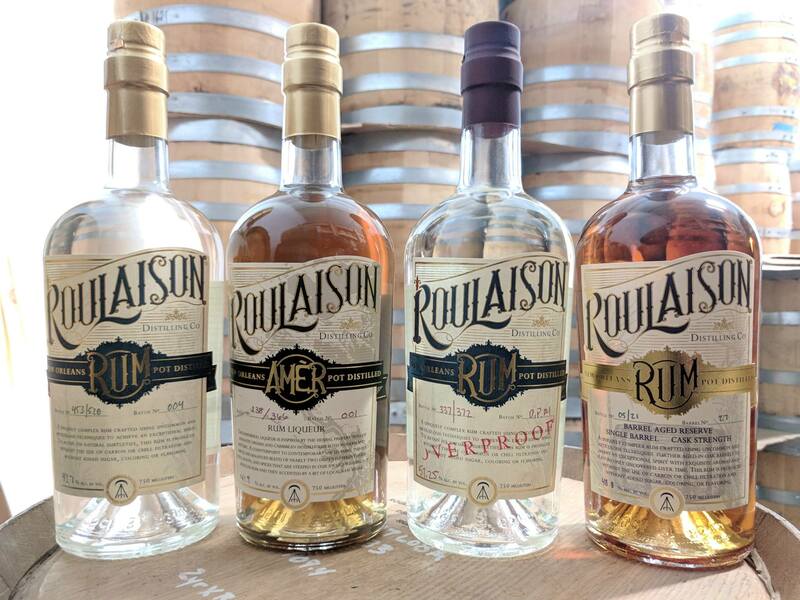 Soon enough, they both launched Roulaison, crafting rum in the traditional manner, but with exciting new styles and flavors. If you take a tour on any Saturday at 3 p.m. or stop by the tasting room in the afternoons Wednesday through Saturday, you can sample the Traditional Pot-Distilled Rum, Overproof #1, Amer Herbal Rum Liqueur, and Aged Rum. 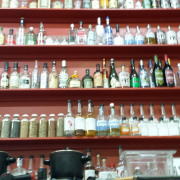 Cajun Spirits is a small operation that makes impressive spirits. This microdistillery was started in 2010 by naval officer Gus Haik, who learned about distillation by desalinating water on ships. Gus bought a warehouse at the very end of Poydras Street in 2011 and started making his own vodka. “In 2014, we started experimenting in six-gallon batches with different types of yeast and different sugar contents, using Louisiana sugarcane and a wash. We did that over and over again, doing about 40 iterations of different combinations. Then tasting the result, distilling the result, and figuring it out. We narrowed it down, then we did 50-gallon batches. Then we narrowed that down probably to three or four iterations. Then we did a 500-gallon batch. That was really scary, because if you mess that up, that’s a lot of wasted money—but we didn’t, and we got it right. So, we bumped it up again and started using the big still,” explained Edward Haik, Gus’s brother and head distiller. Cajun Spirits creates Crescent Vodka, 3rd Ward Gin, and Tresillo Rum from local sugarcane in custom-made copper stills from Germany. Edward and Gus also like to experiment with flavoring their products with things like Ponchatoula strawberries and Japanese plums, and they’ve got a new barrel-aged gin. Founded by local artist James Michalopoulos, Celebration Distillation has been crafting Old New Orleans Rum from Delta cane sugar for over two decades—and is the oldest-running rum distillery in the U.S. Visit them at 2815 Frenchman Street for a tour and experience firsthand the fine art of rum-making. Start with Crystal, their signature recipe, mellowed by charcoal filtration, or the Amber, aged in bourbon barrels for three to seven years. Their Cajun Spice rum, steeped for weeks with seasoning rather than filled with,ase for any tropical cocktail, and their tangy Gingeroo is a fizzy hand-bottled cocktail infused with organic ginger. Anyone serious about spirits should pass by to purchase one of the last 50 bottles of King Creole, their award-winning 20th-anniversary edition of this classic New Orleans spirit. Lula Distillery, located at 1532 St. Charles Ave., is a distillery of a different kind. It’s the first restaurant/distillery hybrid in the state of Louisiana. In fact, its owners Chef Jess Bourgeois and Bear Caffery had to seek governmental approval for the concept. House Bill 233 was passed into law in 2015 in order for Lula to exist. The Louisiana natives Jess and Bear met in New Zealand in 2009. From there, they decided that they would make spirits together. When they arrived back in Louisiana, they completed distillation courses in Washington state and New York. 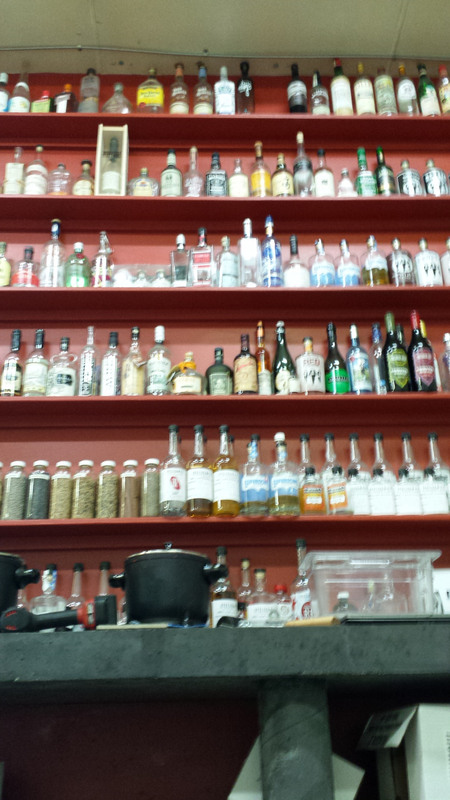 They had distillation down pat, and they worked on opening up the full-service restaurant and microdistillery. 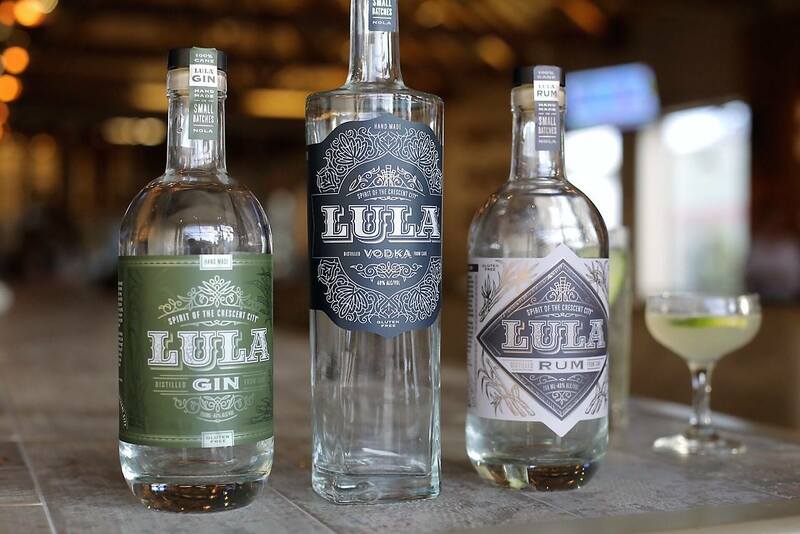 Lula’s vodka, rum, and gin are all made from Louisiana sugarcane, and you can see the process right from your seat in the restaurant. Since 2011, Atelier Vie has been making award-winning spirits in a small room in the Art Egg Studios at 3928 Euphrosine St. Master distiller Jedd Haas always wanted to have a manufacturing operation since he apprenticed in it, and he found that spirit-making could fill his desire. “I find the idea of coming up with a good product, then being able to make it over and over again, very appealing. As you may have noticed, there's some interest in and consumption of alcoholic beverages around these parts. Just a small amount, right? So, it seemed like an obvious combination of product and location,” he stated. 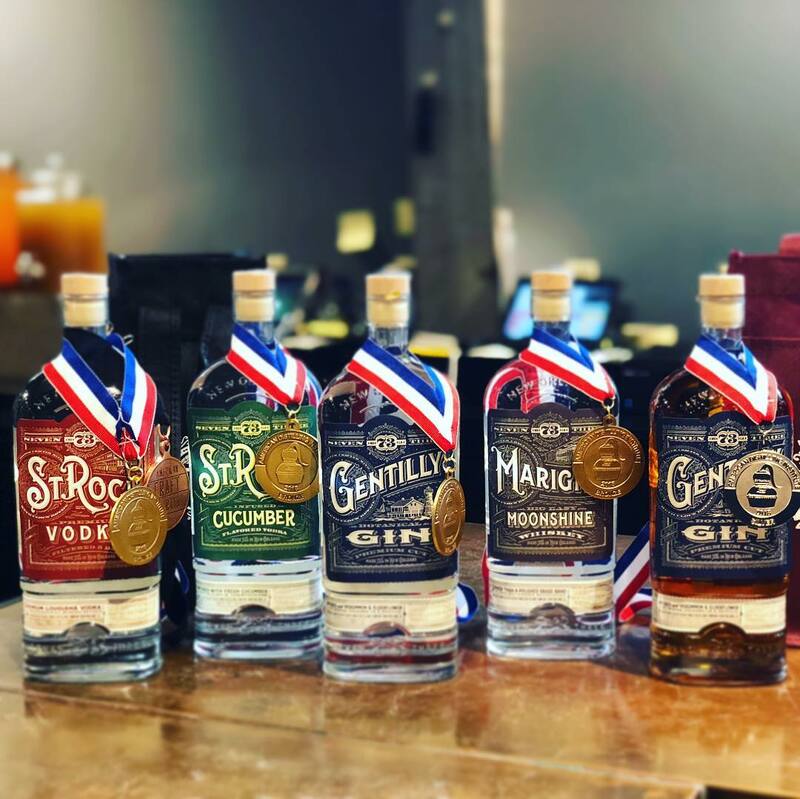 Jedd makes a wide variety of liquors that anyone can stop by and sample on Saturdays and Sundays from 10 a.m. to 2 p.m. His Euphrosine Gin #9 and Euphrosine Gin #9 Barrel-Aged Reserve won gold medals in the 2018 San Francisco World Spirits Competition. 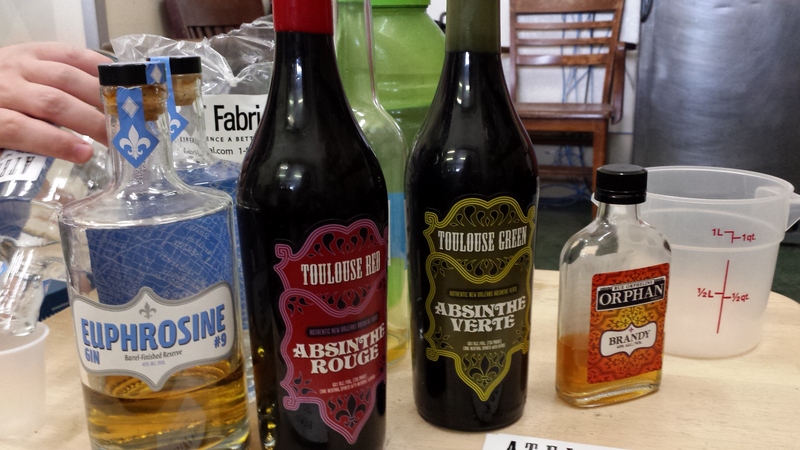 Atelier Vie also offers Toulouse Green and Toulouse Red Absinthes, Orphan Street Brandy, Buck 25 Overproof Vodka, and Riz Whiskey. “I think this appreciation has been growing by leaps and bounds in recent years. There has been a nationwide interest in and growth of the craft cocktail scene, and New Orleans has caught on, big-time. 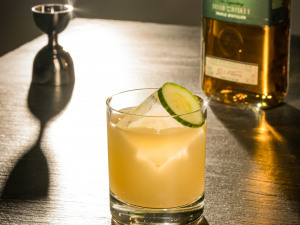 To make the best cocktails, you need great liquor, so there's an expanding level of interest in what makes a spirit great, how spirits are made, and the best ways to use them,” explained Jedd. There are more distilleries in operation throughout the state. Donner-Peltier Distillers in Thibodaux has found success with Oryza Vodka and Gin made from local rice, LA1 Whiskey, and Rougaroux Rum made from sugarcane. Louisiana Spirits in Lacassine makes a flavorful line of Bayou Rums from local sugarcane. 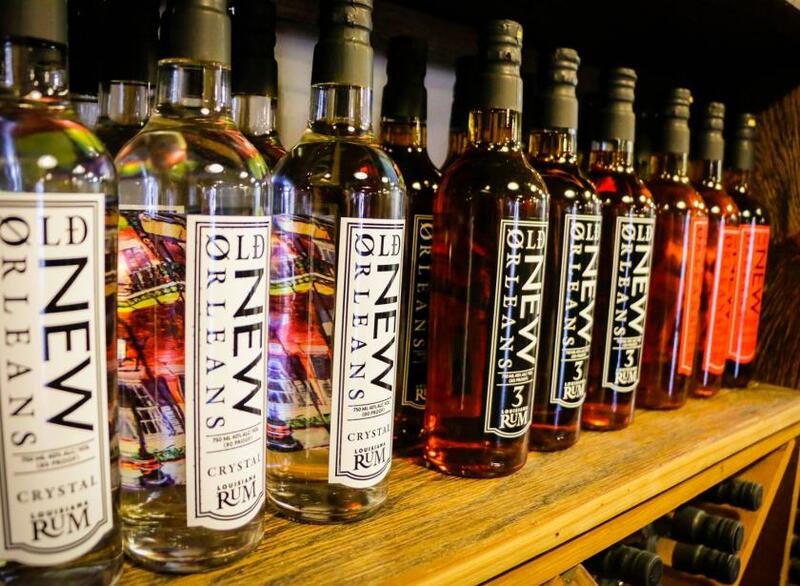 Cane Land Distilling in Baton Rouge is making a splash in the craft rum world with their extensive line of liquors. They create Rhum Agricole, Red Stick Cinnamon Rum, Shindig Vodka, and Original Mississippi Floated Whiskey, just to name a few of their spirits. Louisiana Lightning Clear Sour Mash Whiskey and Wild Strawberry Whiskey in Amite are popular with those who prefer their spirits to be unaged. Buying local liquor not only helps out small business owners, it gives business to farmers throughout the state and the world. So, what better way could there possibly be to celebrate life this fall, New Orleans-style?